The Blue Bridge is in rough shape. On March 9th, the bridge was stuck in the open position for an hour and a half. It turns out it wasn't a fault on the bridge, but rather a blown BC Hydro fuse. Still, the bridge isn't without faults. As is reported by Focus Magazine and excerpted at johnsonstreetbridge.org, "In the last five years, zero hours were spent on rust prevention maintenance." The electrical systems probably haven't been maintained either. 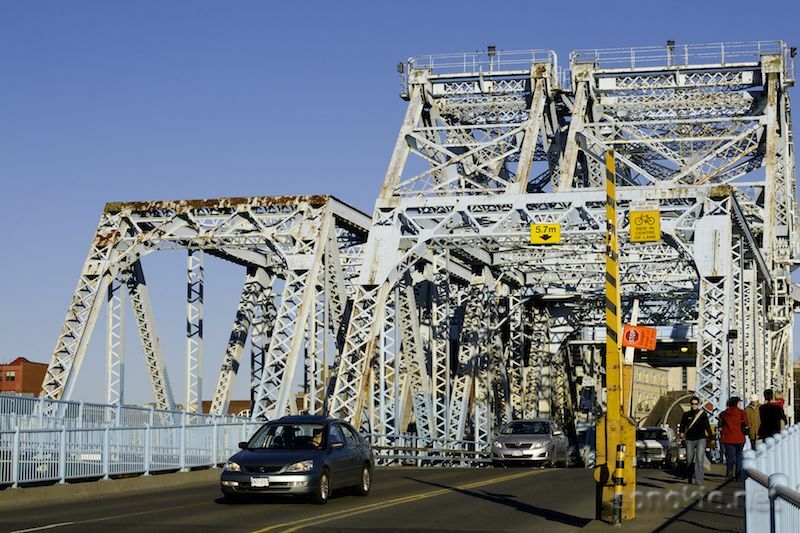 The counter-petition on borrowing $42 million to replace the bridge easily surpassed the required number of signatures, and at the City Council meeting immediately after the petition deadline, Council seemed to get the message that people are not happy. However, City Council has remained stuck in the closed position, along with their Advisory Panel. A recent Times Colonist article explains that the Advisory Panel on the Blue Bridge meets in secret -- no members of the public are allowed at the meetings and no minutes are publicly available. The obsolete electrical system on the bridge and blown fuses are worrying, but even more concerning are the blown fuses and crossed wires behind the closed doors at City Hall. I'm still convinced that the bridge can be repaired, but for City Council replacement may be the only viable option.